We’ve still got quite a bit of the offseason to go, but we’ve finally reached the final edition of our 2017-2018 series of Bruins grades. Noel Acciari and Tommy Wingels may not be the most exciting players in the world, but they are the only two we have yet to cover that meet our grading criteria. 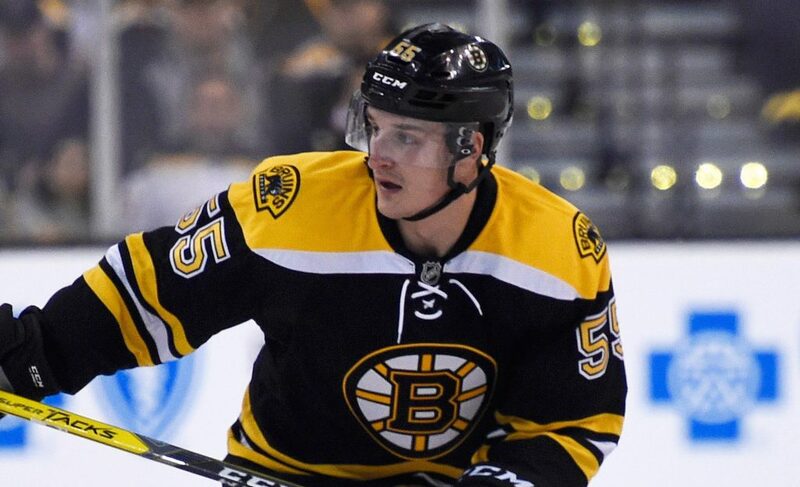 When it was announced that the Bruins got Tommy Wingels from the Chicago Blackhawks, I was pretty hyped to see what he could do in a Bruins uniform. Unfortunately, it amounted to very little, if anything at all. He only scored twice during his time with the Bruins and he saw very little playing time during the Stanley Cup Playoffs. Bruins fans will likely only remember him for before the victim of the incredibly dirty Nazem Kadri hit during the playoff series against the Toronto Maple Leafs. The good news is that the Bruins picked up Wingels for only a fifth-round pick, so the trade won’t come back to bite them. The 2017-2018 season was one string of bad luck after another for Noel Acciari. From an extended stint on the injured reserve list to multiple minor injuries, the depth forward just couldn’t stay healthy. His play when he was actually in the Bruins lineup wasn’t very good either, but he was battling so many injuries that it wasn’t very surprising. I’m not one for leaving a grade as “incomplete” on a player, but Noel Acciari was as close as anyone on the team to fulfilling that “incomplete” status. He still managed double-digit goals, but overall wasn’t very effective in the regular season and playoff games that he managed to play. Hopefully, he can break his injury curse and bounce back next season.